Test your local music knowledge at our next Lobby Call. 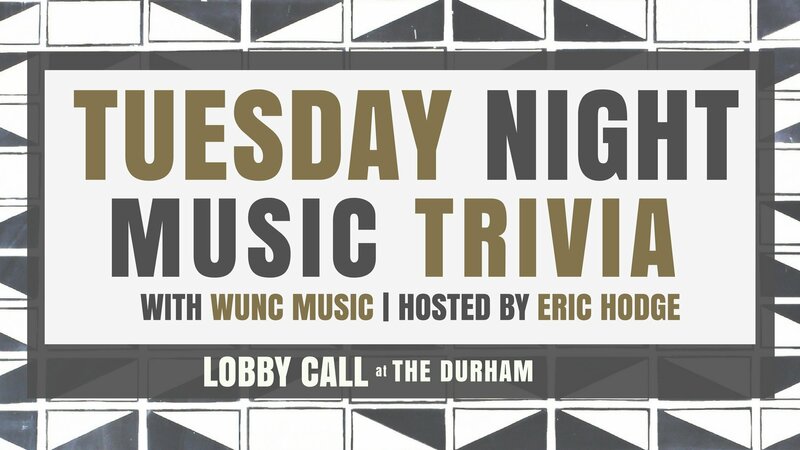 Join us on The Roof on Tuesday, May 8th for the first-ever WUNCMusic trivia night, with your host, Eric Hodge. Team registration* begins at 6pm. Spectators welcome! Prize packs for each round w/goodies from local venues, labels, artists, & festivals. RSVP here to let us know you’re coming. *Teams should be 6 or fewer people.